Nazareth House is a very special and unique home founded by the Sisters of Nazareth, and has a long tradition and reputation for providing quality holistic care. We provide a range of Services that are person centred and delivered by a team of highly qualified professional staff. The home is a place of warmth and serenity where you will be assured of a "home from home" welcome from the Sisters and staff. In 1930 the Sisters of Nazareth were invited to Mallow by the Health Authority to provide a better quality of life for a large number of long stay residents in the County Home (now Mallow Hospital). 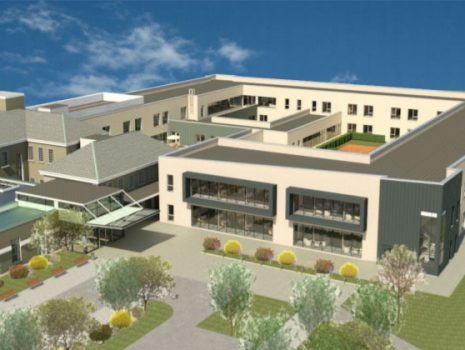 Since then Nazareth House has provided high quality care for the people of North Cork and further afield. We are proud of this heritage and today, this mission of care and education continues with the able assistance of a Nazareth Care professional team. The Nursing Home accommodates 85 residents with 125 members of staff providing round the clock Nursing, Respite and Palliative care. 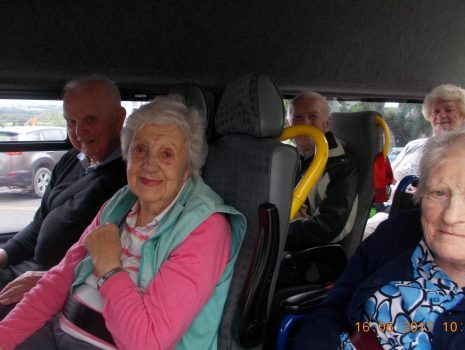 Residents of Nazareth House Mallow went to Garyvoe for the day.